As we mentioned earlier in the week, pop superstar Beyonce has lent her considerable support to the United Nation’s World Humanitarian Day for 2012. The event, being marked across the world today, co-incides with the anniversary of the 2003 bombing of the UN headquarters in Baghdad, Iraq. It aims to bring one billion people from all nations and backgrounds together with one common purpose – to help each other in times of adversity. It also offers a message of peace and hope. 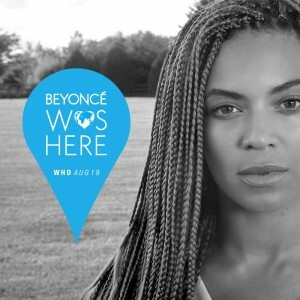 As promised, Beyonce has today released the official World Humanitarian Day video of her song ‘I Was Here’, which features the singer performing the track live at the UN General Assembly Hall. “This World Humanitarian Day I’m doing something good, somewhere, for someone else. Join me! #WHD2012 #IWASHERE http://thndr.it/PkC2Xe“. You can find out more information by clicking the image up top in our sidebar. And don’t forget the FREE remixes of the track (details HERE).